Nancy Pelosi, Governor Gavin Newsom, and U.S. Senator (and presidential hopeful) Kamala Harris. The city has taken steps to crack down on the crisis. 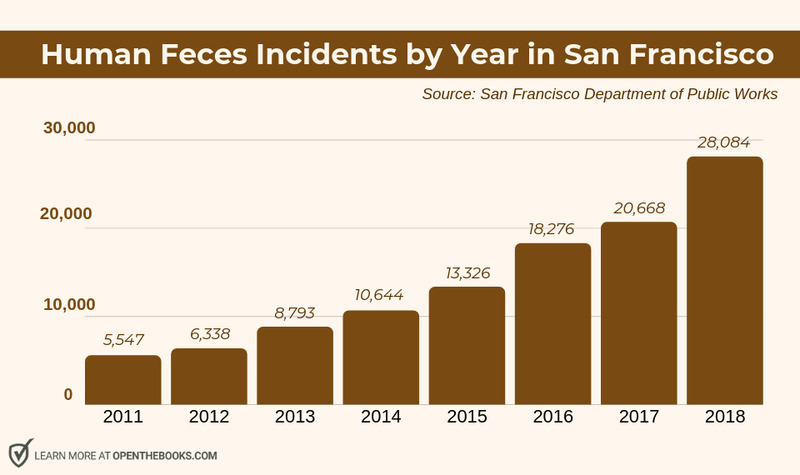 Over the last year, the Department of Public Works instituted what the San Francisco Chronicle called a "Poop Patrol." Consisting of five teammates, the Chronicle estimated each employee earned a hefty $184,000 in pay, perquisites and pension benefits. At the turn of the 20th century, San Francisco was called "The Paris of the West." Locals were more humble and self-titled San Francisco as the Golden City. 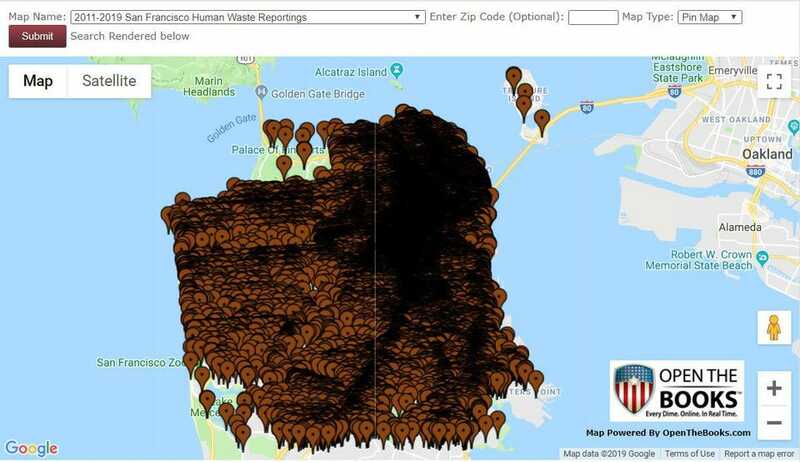 Pardon the expression, but lately there has been a brownout in the Bay Area.